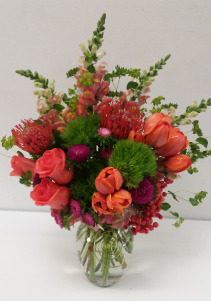 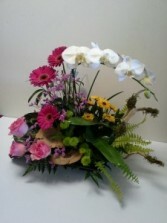 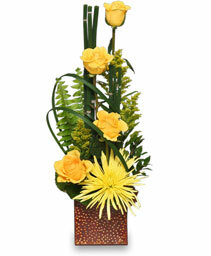 This modern arrangement is suitable for any kind of occasion. 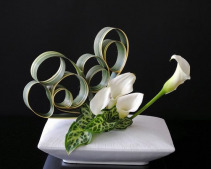 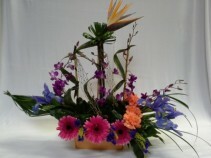 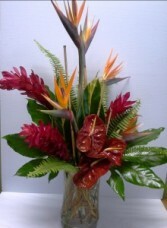 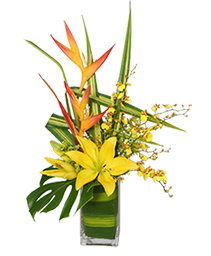 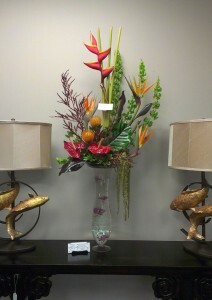 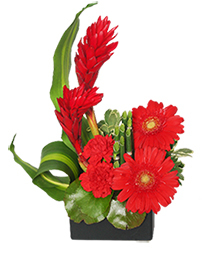 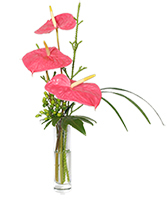 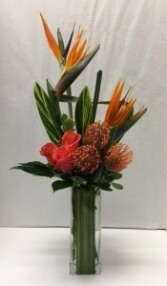 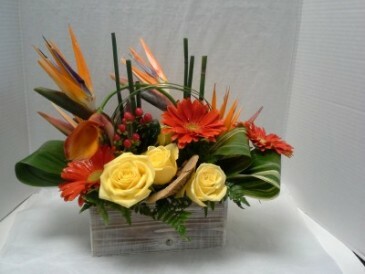 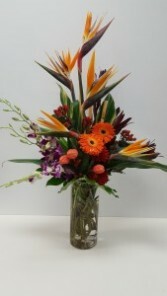 Elegant arrangement with tall tropical leaves and a pop of color. 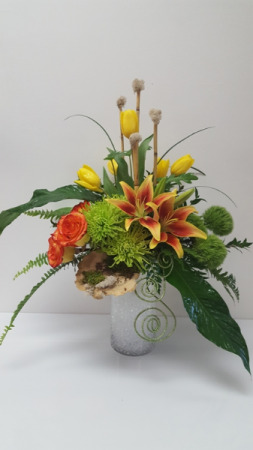 Created in a nice earth tone bowl. 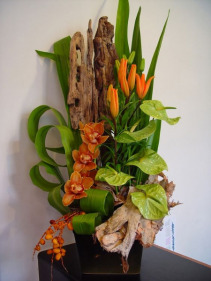 This beautiful piece is created with various sizes of drift wood and a nice collection of tropical flowers. 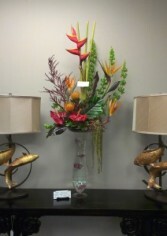 This is just an example of what we can create for your office or home. 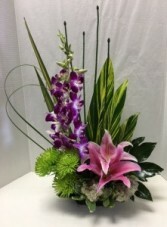 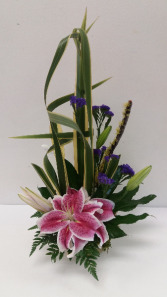 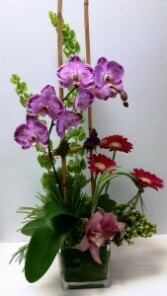 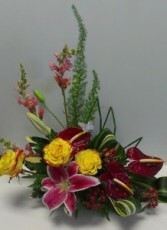 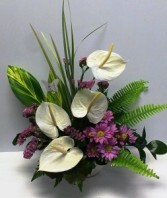 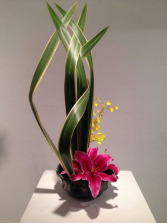 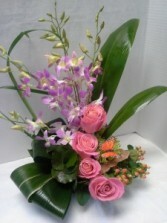 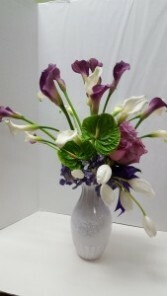 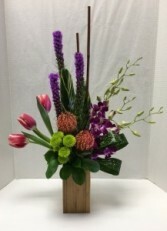 Modern, simple and unique arrangement with Stargazers, Purple Status, Aralia Leaf.